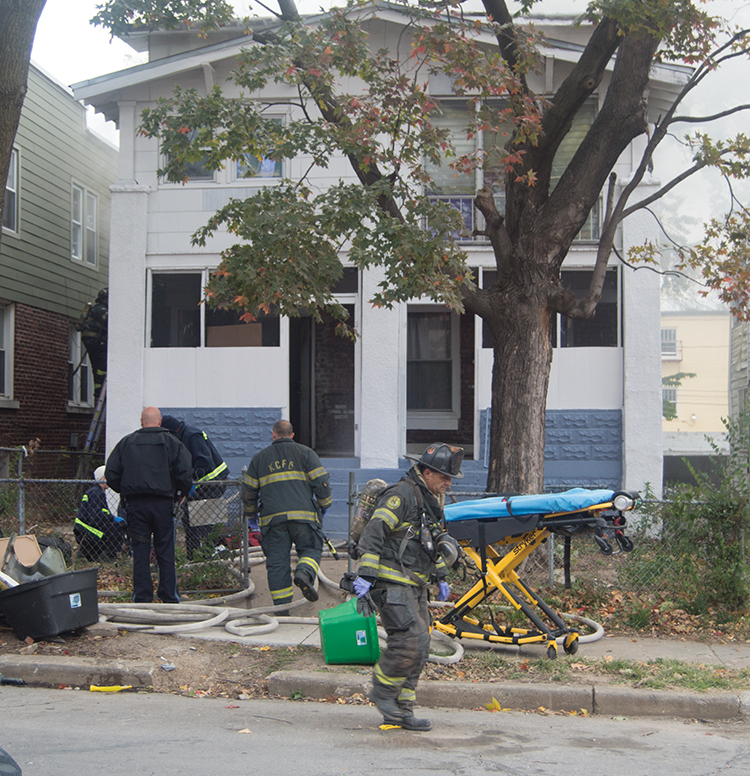 A fire broke out on the top floor of a two story duplex located at 115 N. Bellaire shortly after 8:00 on Friday morning, Oct. 27. Authorities reported there were no fatalities at the scene of the fire; however, two non-life threatening injuries were sustained. A dog was also rescued from the burning building, and was provided oxygen until she was able to breath on her own. She is currently in the care of KC Pet Project until her owner recovers. She’s been given the nickname “Cinderella” because when she was brought in, she was covered in soot from the fire. KCFD Spokesman James Garrett said there was an alleged altercation inside the building before the fire occurred. KCFD has not yet determined the source of the fire.